There are three main types of high efficiency condensing boilers: the combination or ‘combi’, the system or the heat only boiler. Please find a summary of each of these types below. 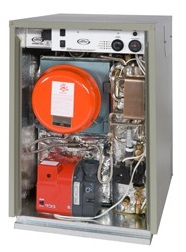 This type of boiler is the most popular and heats water instantaneously on opening the hot water tap. There is no need for a loft tank or storage cylinder. The water is fed from the mains so the water pressure is generally greater. 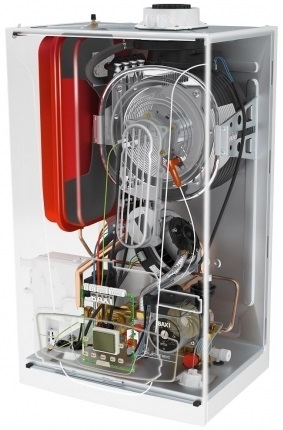 Because they provide hot water when you need it, combi boilers are also economical to run. These are designed to generate heat for your home as well as hot water that can be stored in a separate hot water storage cylinder. This can be situated anywhere in your home with no need for a separate tank in the loft. 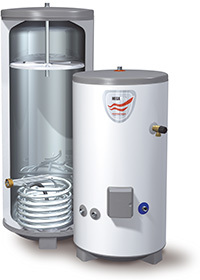 These work in conjunction with a hot water storage cylinder and cold water top up tanks to provide a home with both central heating and hot water.